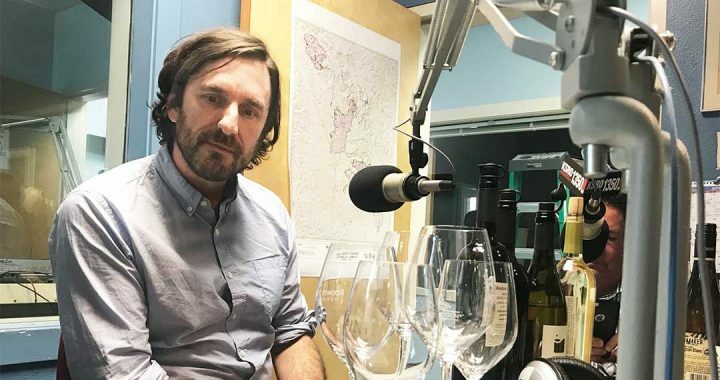 Our guest is Ames Morison, one of the partners in Medlock Ames Winery, who is back on the show today after a six-year absence. Mark Tchelistcheff, grand nephew of André, and filmmaker, was going to be in today. He couldn’t make it but he will call in later. Dan Berger and Barry Herbst are also in. André The Voice of Wine, is the title of Mark’s documentary film about his influential uncle André Tchelistcheff. It will be showing in Santa Rosa this weekend. 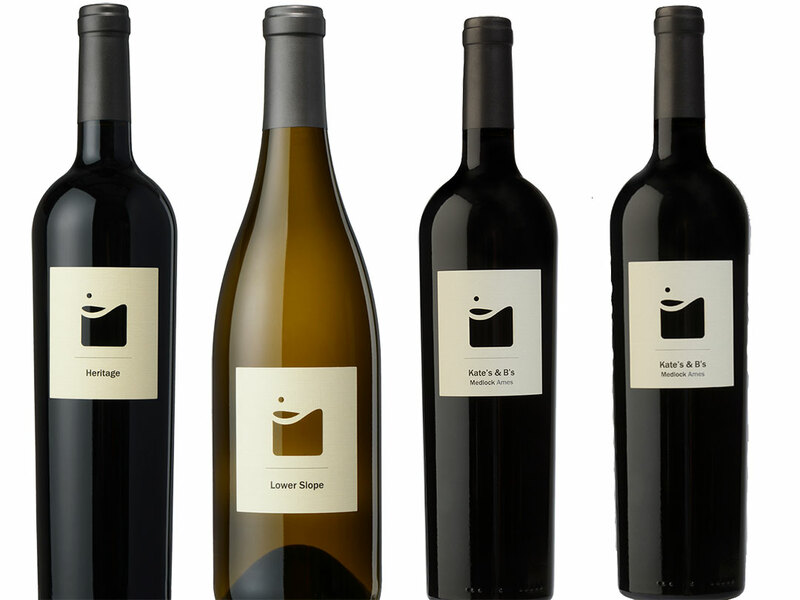 Ames Morison is co-owner of Medlock Ames Winery. Chris Medlock, his partner, is his best friend from college. Ames Morison grew up on a farm in Virginia. They didn’t grow grapes but he always loved working with the land and his father was a farmer. After college he went to Guatemala for the Peace Corps, working on natural farming. He wanted to continue working in that area. After coming back to the US he decided he wanted to make wine, so he moved to California and took a lot of classes at UC Davis. He and partners found an old vineyard, nursed it back to health and started small. Dan describes his vineyard as being in a cooler area, near the spot where Alexander Valley and Russian River AVAs meet. It’s cool for Alexander Valley and warm for Russian River. Ames Morison tells that their first vintage was in 2001. They make 16 different wines. Based on the topography of their site, they make different wines in unique zones. They are on Chalk Hill Road near Healdsburg. They are tasting a Chardonnay that Dan notices has not very much oak in it. Ames says it’s the “Lower Slope” Chardonnay and they only make 500 cases in 2016. It comes from the sweet spot of their Chardonnay block. They can process 2 tons at a time, so they were able to taste each section of the vineyard separately and they discovered interesting differences. The vines at the top of the hill have less water and more fruit exposure and get more tropical notes. The lower spots, the soils are deeper, hold more water and the vines are more vigorous, this delivers more apple flavors. Then there is a place they call the Lower Slope where they get a more citrus profile and they decided not to use oak. It’s fermented in stainless steel and they stir the lees a lot. It makes a mineral, steely wine. Dan thinks it’s a pretty wine because it doesn’t lean on barrels for its taste. It’s ready to drink now and doesn’t need aging. The stirring of the lees adds body. Dan explains it’s the yeast that has not been stripped out of the barrel. They’re still alive but not fermenting anymore. They may be in the mix for five and a half months with no appreciable effect, then at six months, the winemaker really tastes the difference they make. After a plug for the California Wine Country Podcast, they taste the 2017 Sauvignon Blanc. Dan detects flavors of white hay and peach. Ames explains that they crush these grapes rather than press them and they let the juice stay in contact with the skins, to extract the flavor components. There are also some tannins there, just enough. The 2017 vintage was unique, a wet winter with a lot of moisture in the soil, then some heat spikes at the worst times, during the vines’ growth cycle. Yet he calls it a miracle vintage. Dan says it’s young for now but has great berry aromatics and chamomille tea, and decanting would be great for it. Mark Tchelistcheff joins the show, on the telephone. He is the grand nephew of André Tchelistcheff, who was the most iconic wine person ever in Sonoma and Napa Counties. Dan says he was able to predict which grape variety would work best in individual places. The film shows how important he was to California winemaking. He made some of the great wines at Simi and was a consultant at Buena Vista. He did a lot for all aspects of the American wine industry. His film about his grand uncle will show on Saturday at 3pm at the Lincoln Theater in Yountville. The film has been shown in several film festivals in the US and abroad, but it is important to him that the film will now show in wine country. Many of the winemakers in the film will be there. The film is called André, The Voice of Wine. Steve asks if it will be available for streaming. Mark wants the film to be seen in theaters first. He shot it in a wide screen format. They hope to have wide theatrical distribution and he is willing to organize screenings. Mark says his film is not just for people interested in wine, it’s for anyone who wants to be inspred by André’s passion. He also has the distinction of hiring the first woman winemaker. They taste a Rodney Strong 2017 Rosé of Pinot Noir, which Dan says has a little tannin for body and virtually zero sugar. The Pinot Noir comes from Oregon, from Willamette Valley. Dan tastes wild cherry and forest floor. Then they tate the 2015 Estate Red, a blend of Cabernet and Merlot. Ames says blending is hard, interesting and magic. Ames says it also has about 10% Malbec. Kate’s and B’s is another wine, named after their wives. Before closing, Dan mentions that he will begin teaching at Sonoma State University the next day. He is teaching “Wines of the World” for six weeks.